Color is an amazing thing. It can totally transform a room and has the ability to create a calming environment. 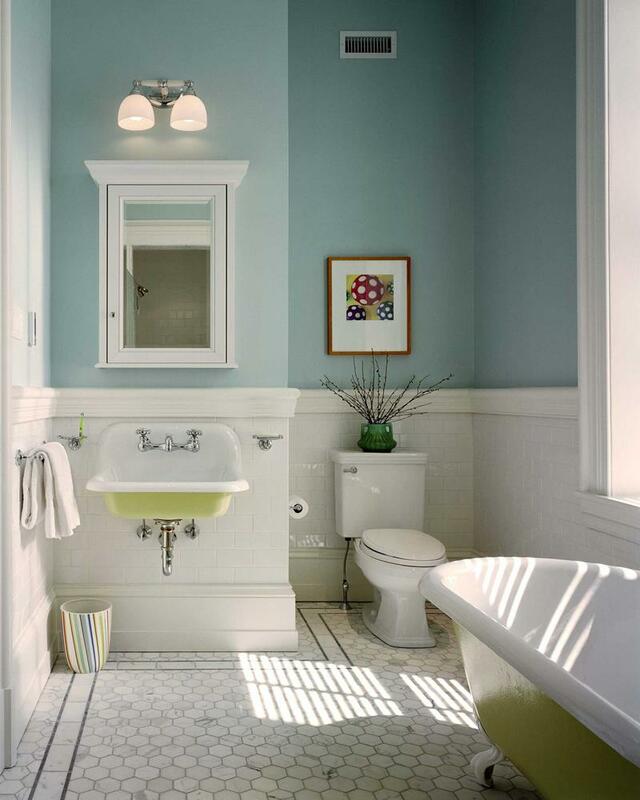 Why should you ignore the color scheme in your bathroom. Not all bathrooms should be white. In fact, that can be downright boring. 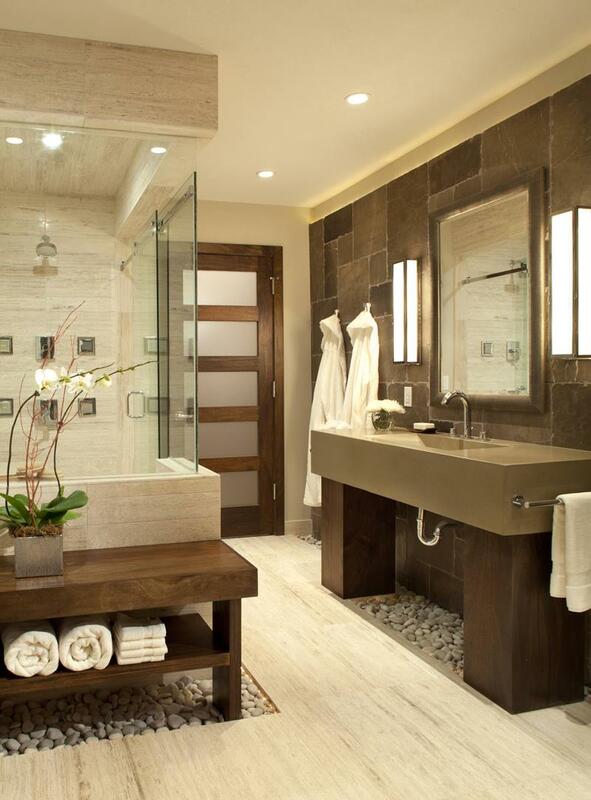 We know that when you design your bathroom, you want to make it look spectacular. You want something that matches your personality as well as the overall style of the room. 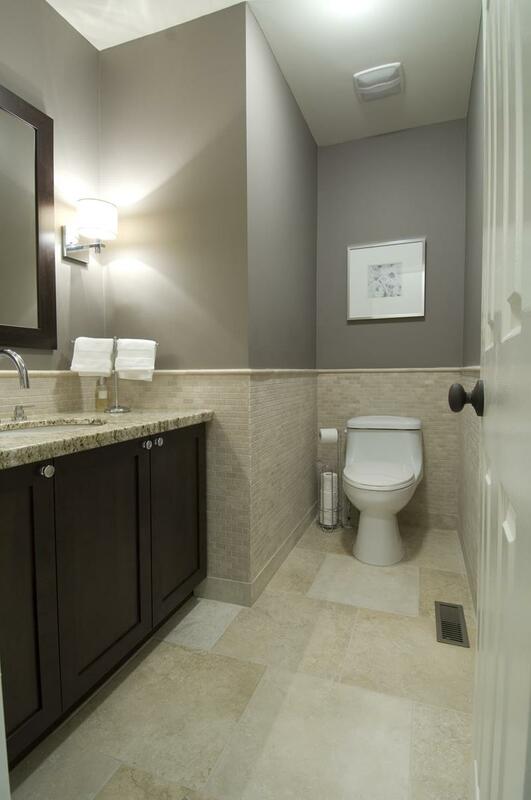 That’s why we’ve gathered together more than 20 different bathroom color scheme ideas. Below, you’re going to find some amazing looks, from earth toned beauties to sleek and modern styles. 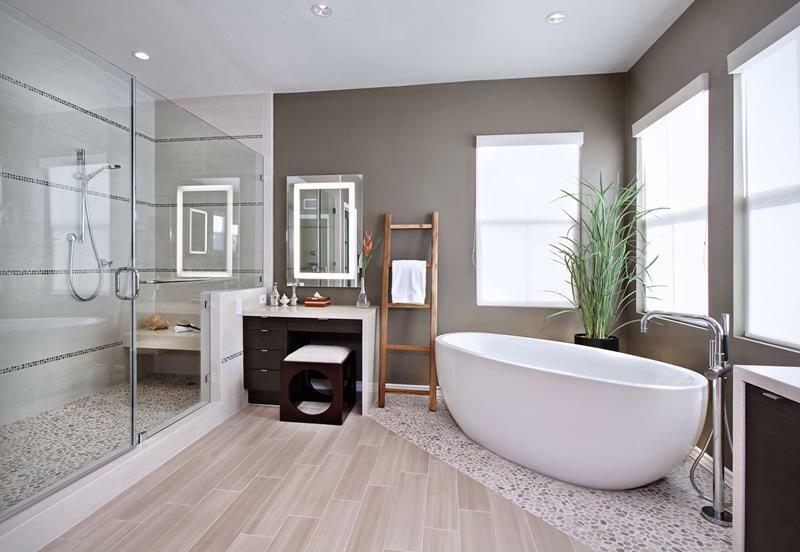 You will quickly find that your options are limitless when it comes to color schemes for your next bathroom makeover. 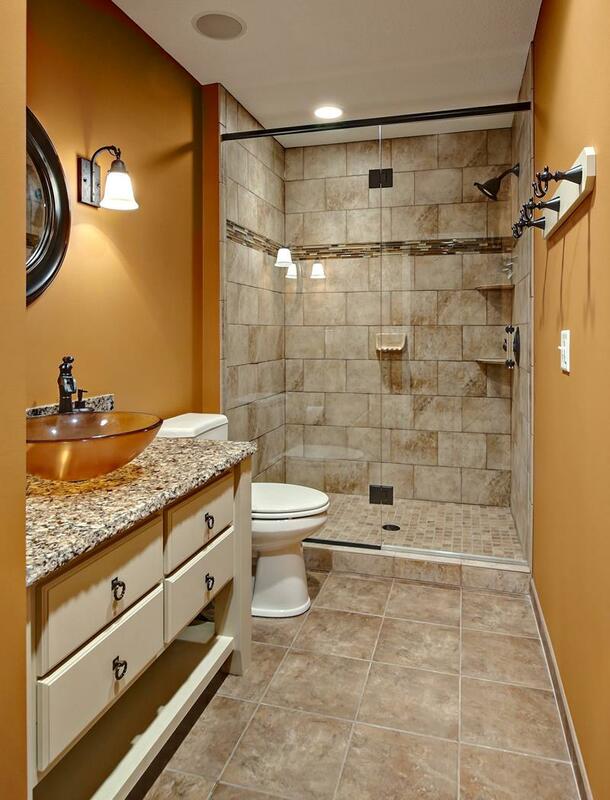 The hardwood really plays a part in the color scheme in this bathroom because it is darker. It creates a beautiful contrasts with the rest of the space. 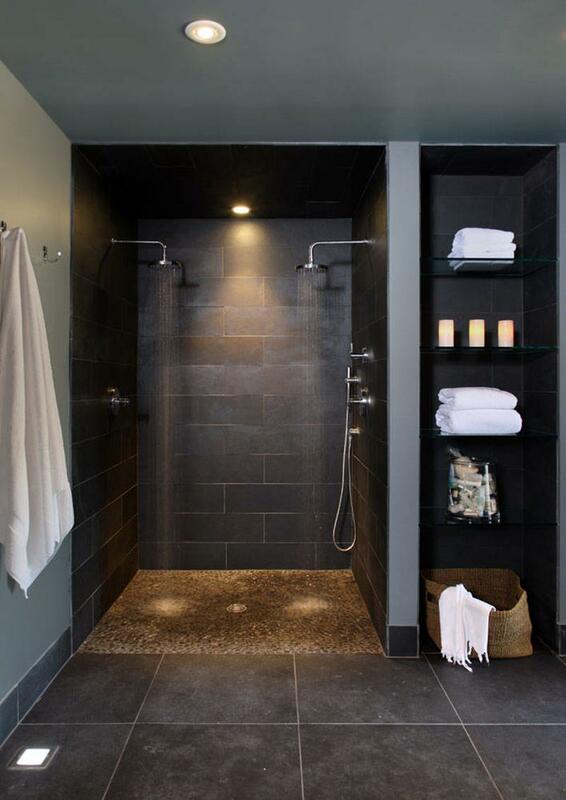 Though the whole space here is mainly darker, the walls are a little lighter, creating a great balance with the tile. 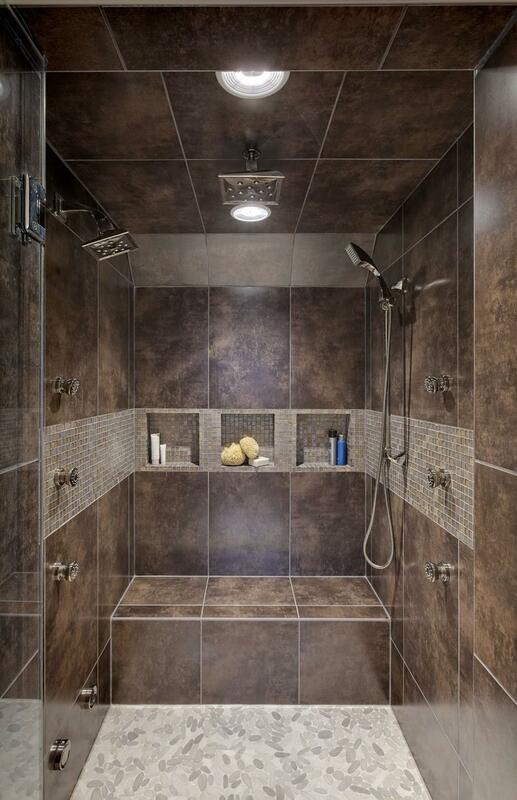 The tile used in this shower is beautiful. 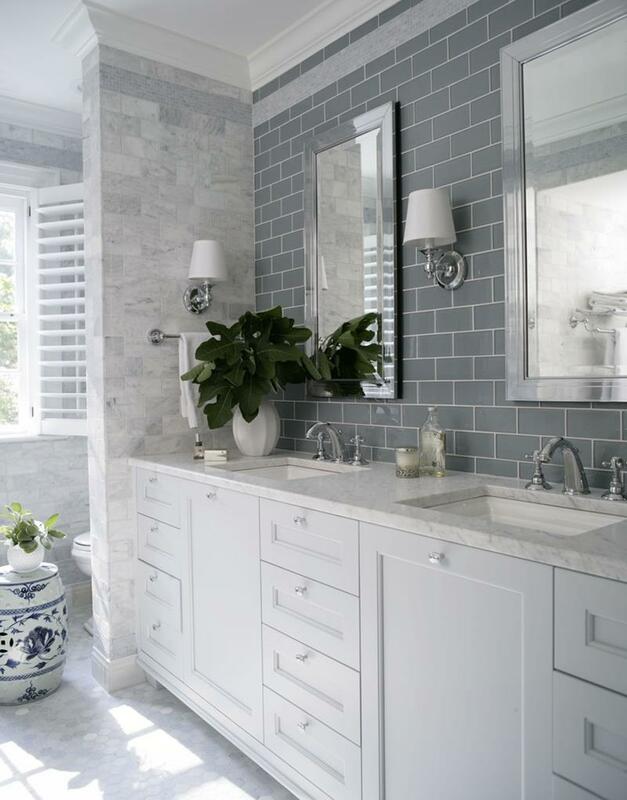 The smaller tiles in the center are a brilliant design move and they bring character to the space. We’re going with beige here, and it works. The traditional style of the cabinets is met with a great subway tile backsplash. The style is classic, but we love that it is not while. 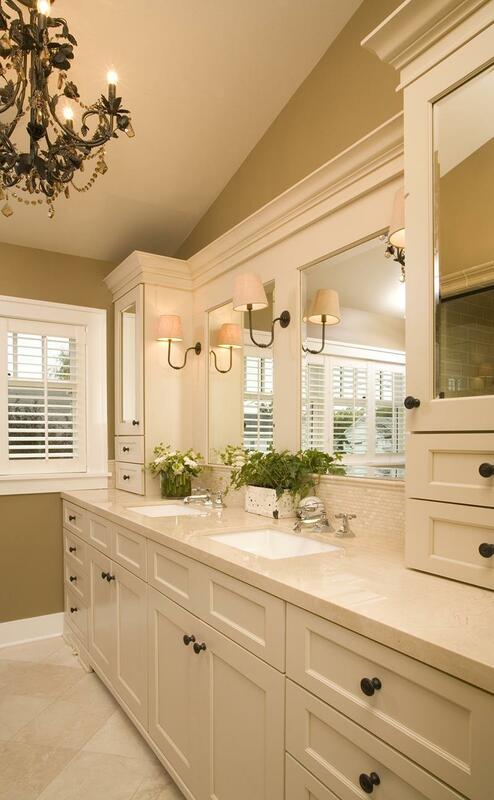 This beige is elegant and brings a wonderful feel to the bathroom. 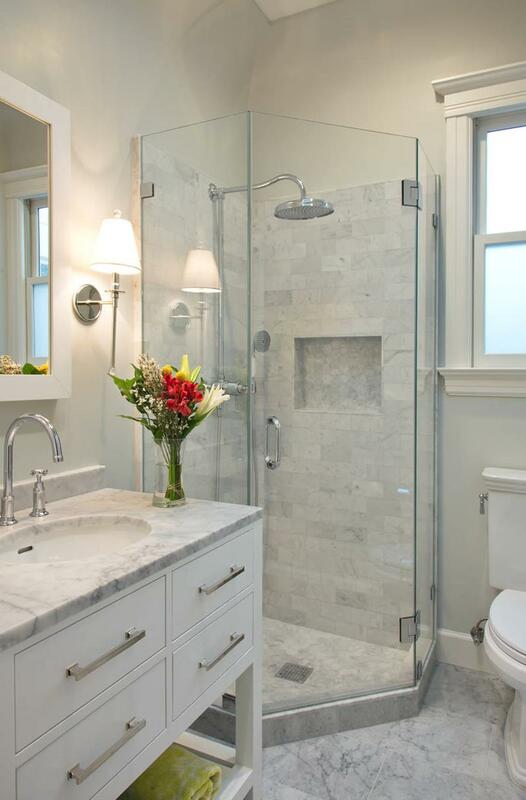 The stone shower tile and the marble counter and floor work together to create a beautifully light styled bathroom. Photo by Change Your Bathroom, Inc. 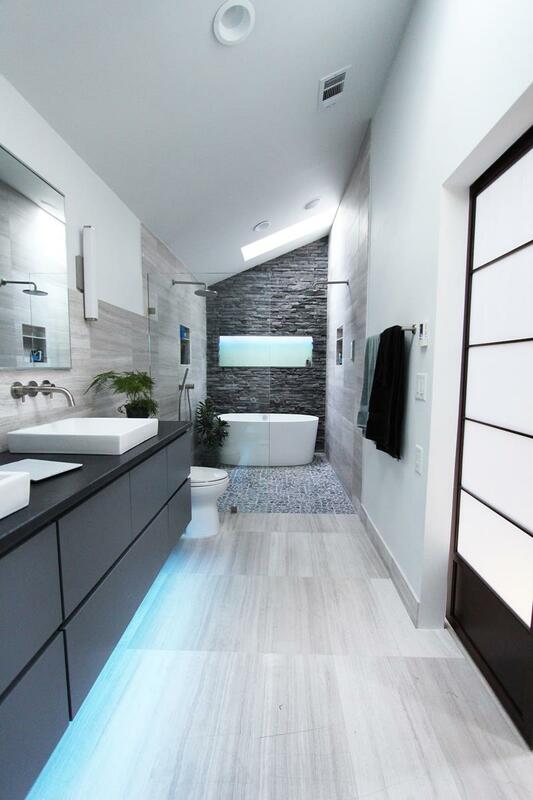 This bathroom has a contemporary color scheme that works really well with the streamlined design. We love the light and dark contrasts here. Let’s be honest, it is the gray subway tile backsplash that brings this space to life. It is just dark enough to contrast the room brilliantly. 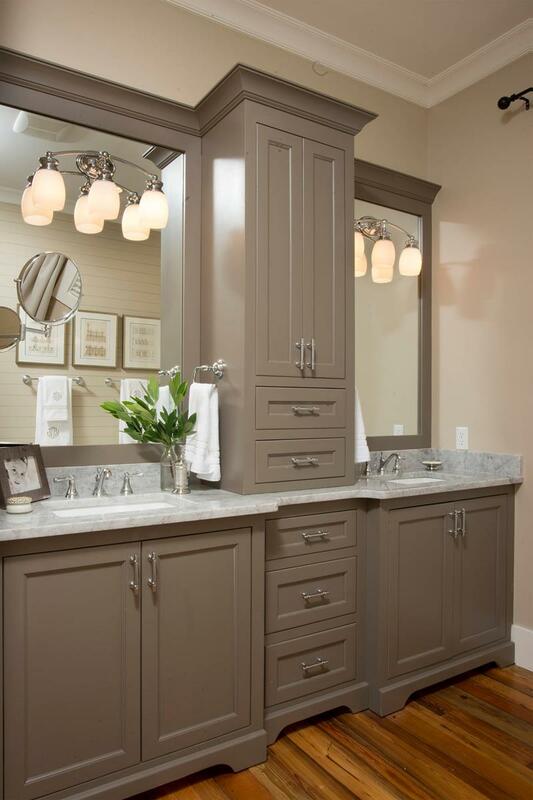 Photo by BiglarKinyan Design Planning Inc.
With a lighter lower half and an elegant gray up top, the dark hardwood cabinets match this color scheme perfectly. 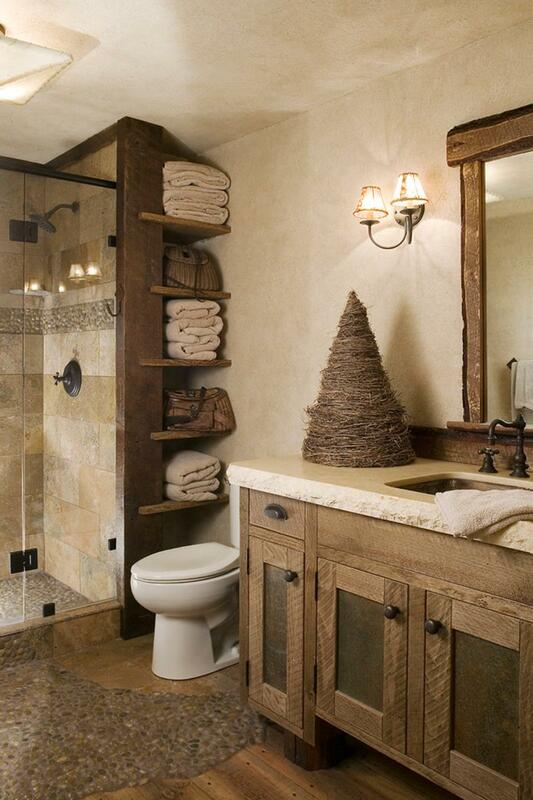 This bathroom has a natural vibe, from the earth tones used to the open layout. We love how lively this space feels. 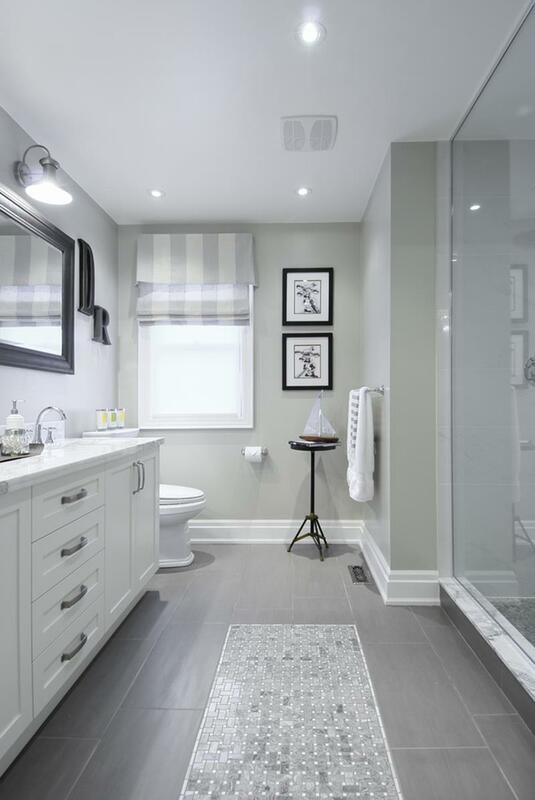 The dark gray subway tile here is a great match to the light walls and the hardwood floor. 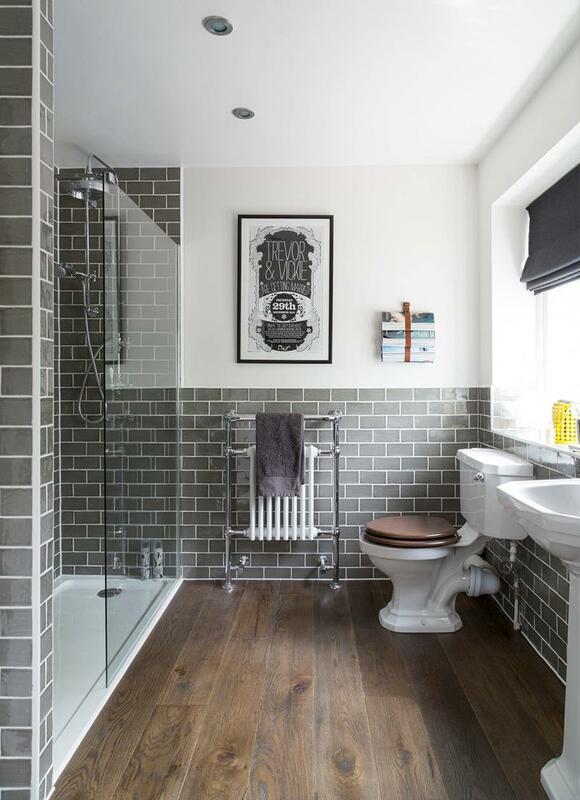 We love the modern industrial look it brings. 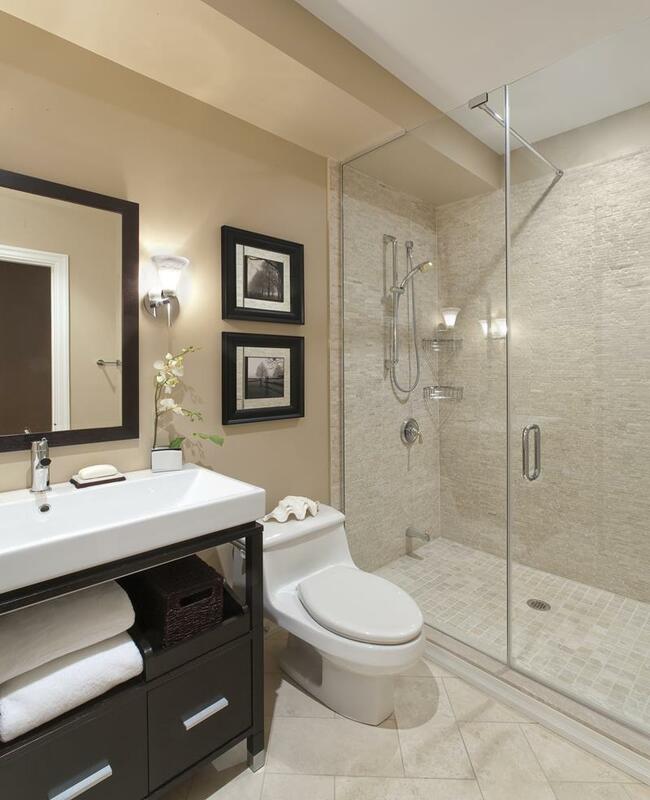 The light stone tile in this bathroom brings elegance and luxury. It is beige, but a calming beige that works so well in the light. 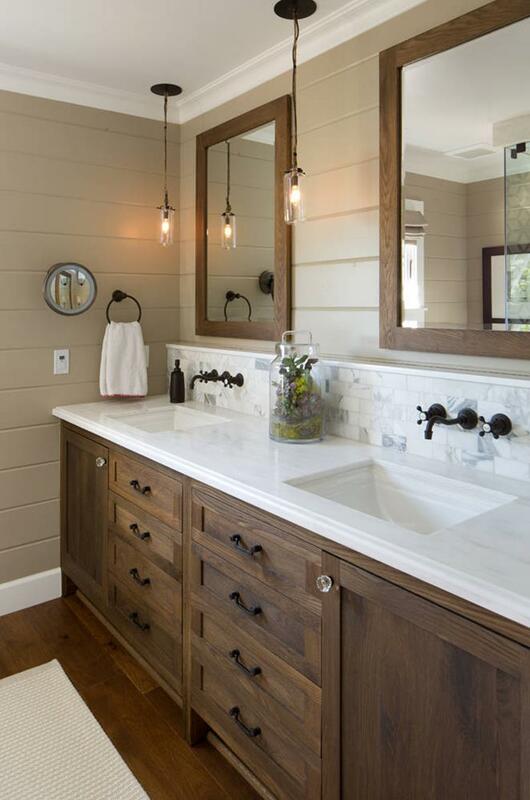 These hardwood drawers and cabinets are matched wonderfully by the earth tones and light tile backsplash. 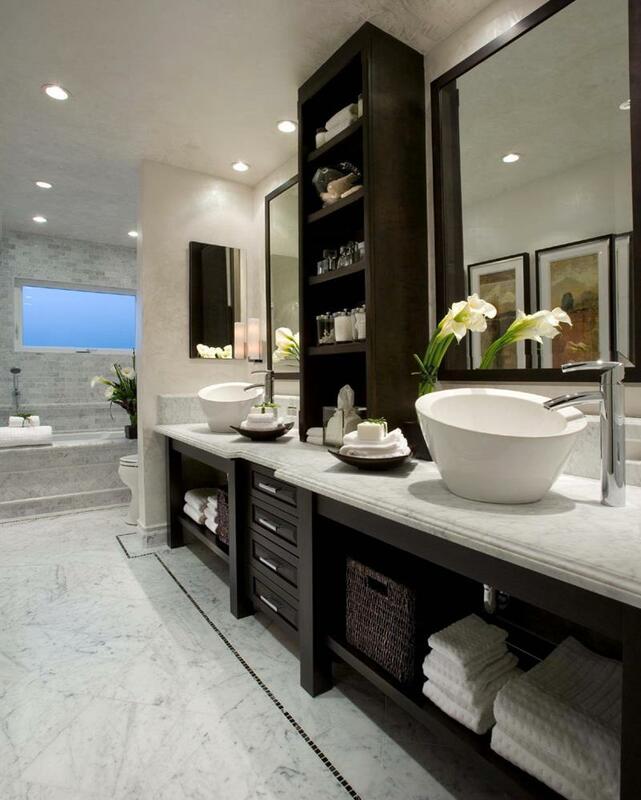 We love the design of this bathroom. It really has a natural Zen sense. The light and dark contrasts work well with the hardwood and stones. 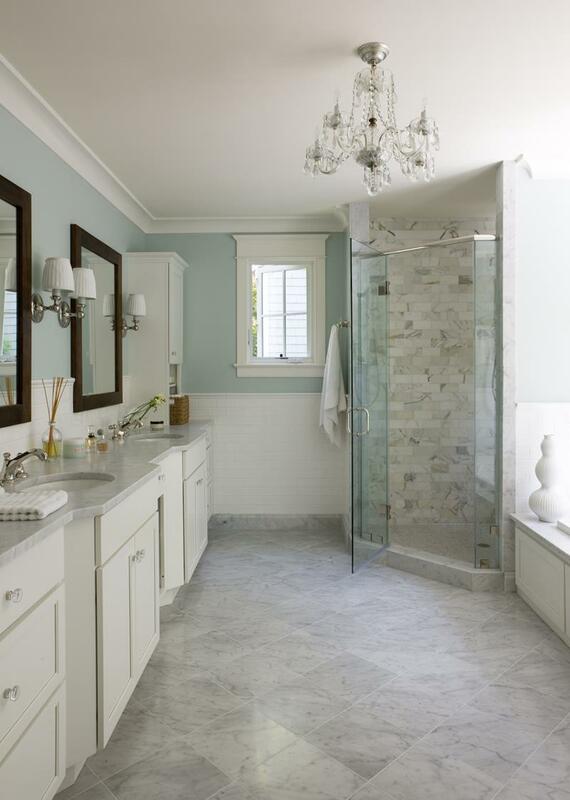 Look at how well the light teal walls work with the stone tiles in this bathroom. The overall light color scheme gives this space a wonderful elegance. Photo by Knight Construction Design Inc.
To match the natural stone style of this shower and floor, the subdued orange walls create a wonderful natural balance in this bathroom. The marbled countertops and floor, the stone tile around the bathtub, and the dark hardwood cabinets blend together perfectly here. There is nothing wrong with patterned wallpaper in bathrooms. It hasn’t gone out of style, especially when it is used to create a match to this elegant space. The hardwood floor and cabinets blend so well with the stone style leading to the shower that we can’t help but love the rustic sense. You can sense some industrial style at work here, but it is certainly livened up with a wonderful blue and white match throughout the space. There is nothing complicated about this bathroom. 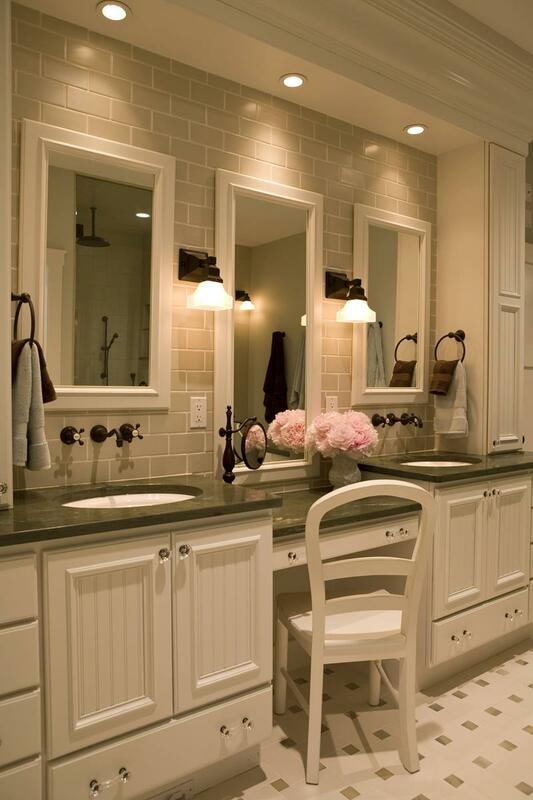 It takes a light approach to the style and works wonders with grays and whites. When you have a beautiful hardwood floor like this one and you want to match it perfectly, this is the way to go. Earth tones come in wide varieties, and this one works.